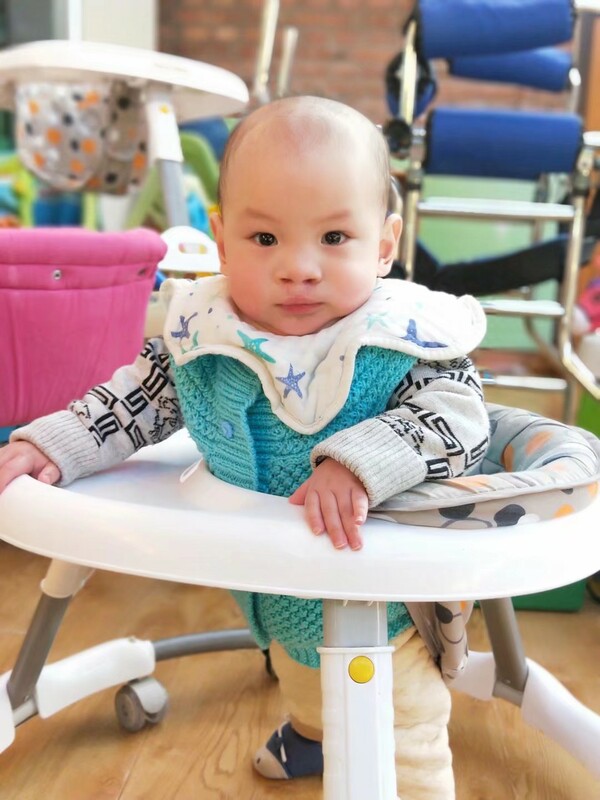 2018.9.17来到儿童希望之家, Xingping came to Alenah's since Sep,17,2018. 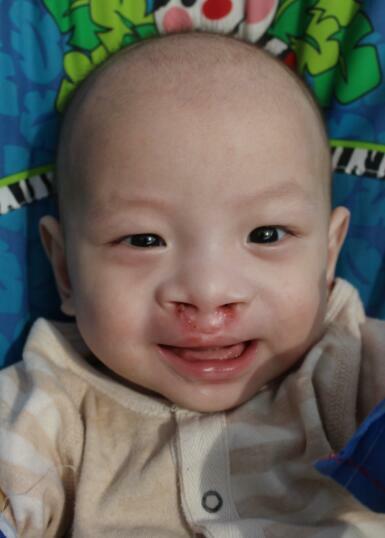 Cleft lip post surgery. Now he is in rehabilitation. Every time after drinking milk, nannies have to pat the back for good digestion. Recently doesn't spit milk any more. He has very big eyes and is so cute, loves to smile. 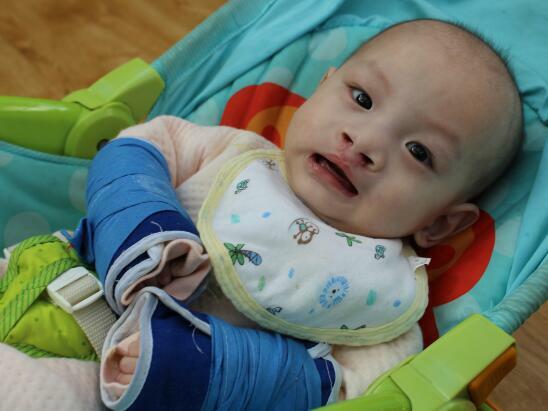 Baby Ping now can crawl by his limbs and he can turn over by himself. Ping can stand upright by holding hands. Now, he is learning to sit and walk on his own. Xingping likes observing and imitating and can claps his hands. 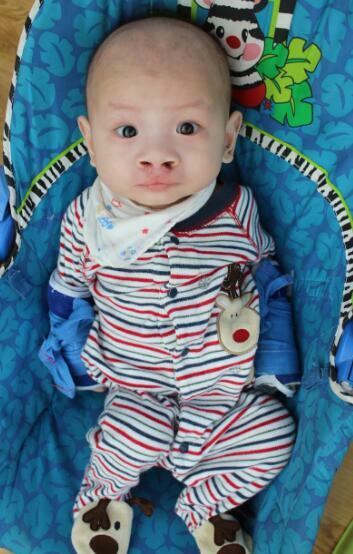 Fund raise RMB 3750.00/Month living cost for Xingping, thanks for your love to disabled orphan. Press below left button for donation,thank you.